Set includes: SlimVario screwdriver bit holder and 15 interchangeable SlimBits, all contained in a roll up pouch. Integrated blade insulation and VDE certified. Roll off protection, with ergonomic handle design. 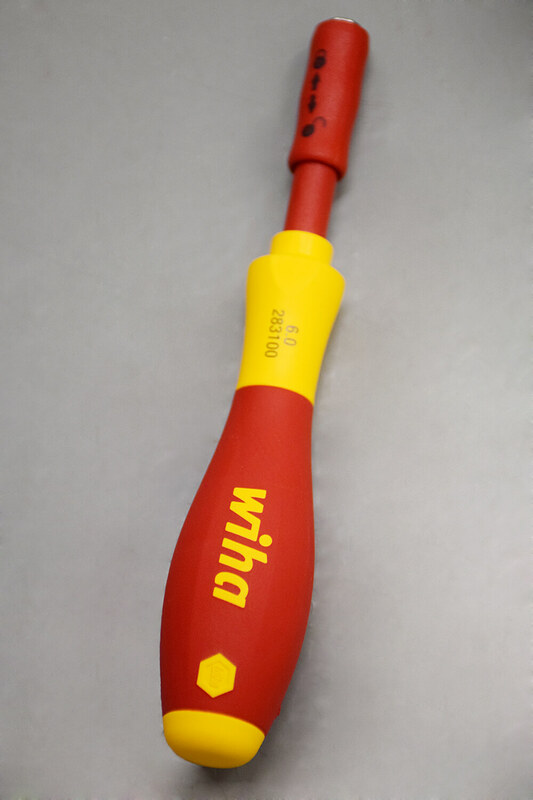 Wiha are well known for their ergonomic tool design, with soft finish handles that supply not only a good grip but also prevent back pain from developing. This SlimVario VDE screwdriver set has all of these features, with the bonus of carrying 15 SlimBits and the space to carry more. The locking mechanism on the SlimVario handle means that you can lock the interchangeable blade in place, hold the locking mechanism before twisting only the handle. With your hand on the locking mechanism, you are steadying yourself, minimising the risk of slipping off and damaging something. 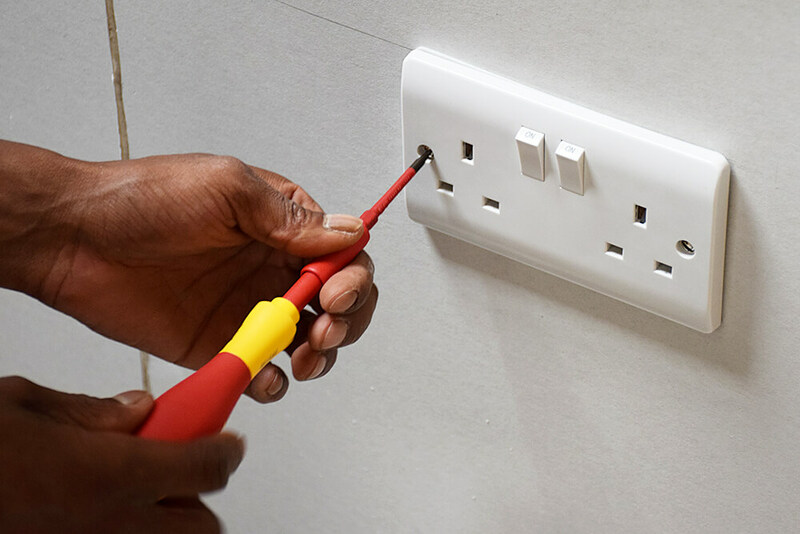 This SlimVario set is ideal for domestic electrics and perfect for deep screws that you commonly find on site, where normal screwdrivers are just too wide to reach. With the versatility of interchangeable blades available, you are sure to find the right one for the job. 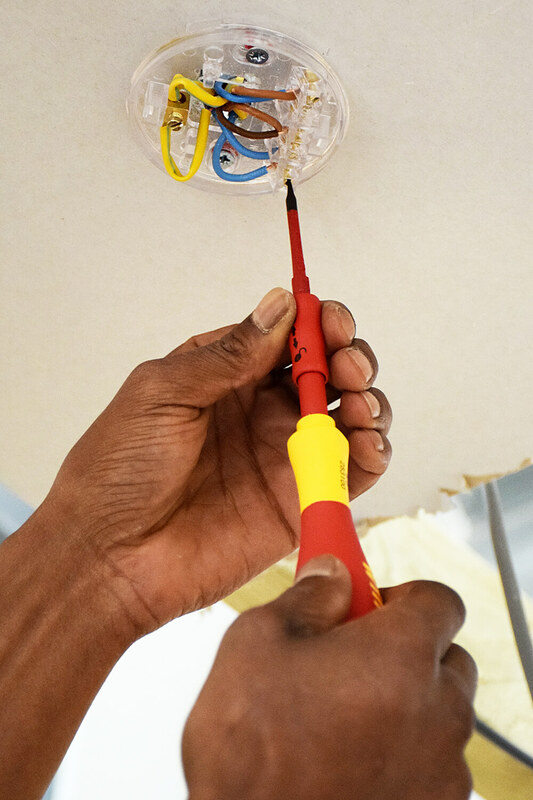 The set comes in at £50, which is “more than you’d pay for a set of screwdrivers if bought individually, but the bonus is that that’s all you’re carrying around with you” our experienced trainer says. Every common fastener head in your pocket, with security and hex keys included. 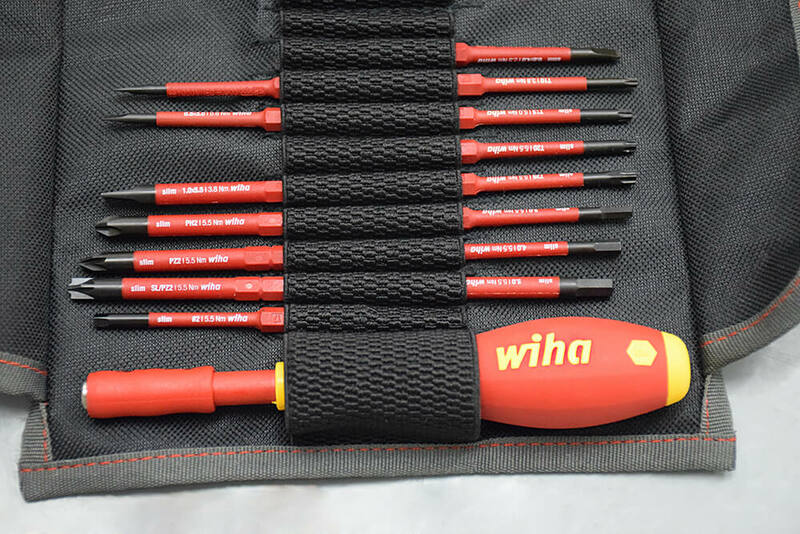 Pouch makes the set easy to carry around, compared to other screwdrivers. 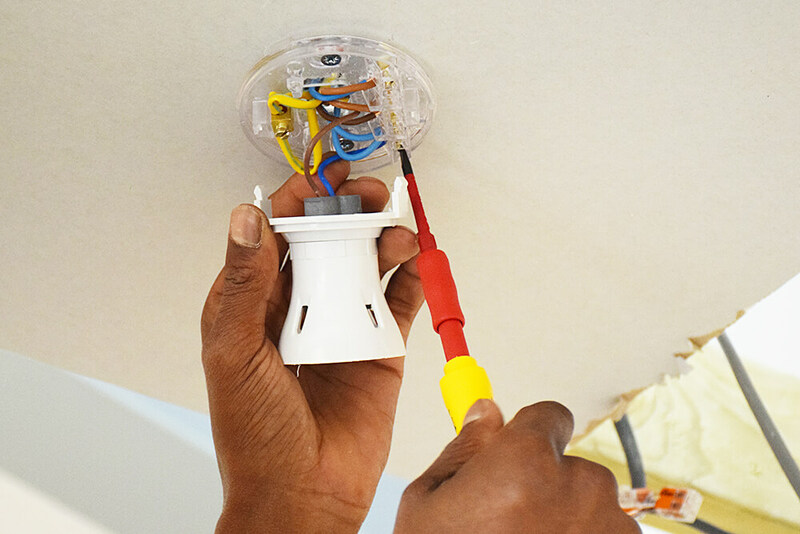 Swapping our SlimBits is quick and easy, and secure with the lock mechanism. VDE rated is a huge bonus. Cost, if they had been slightly cheaper, then the final rating would be higher. 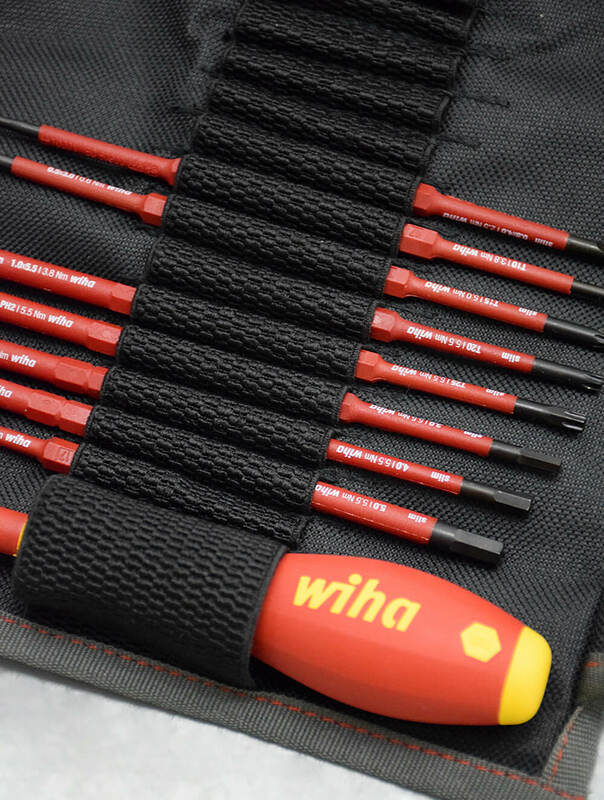 Wiha’s SlimVario VDE Screwdriver 16 piece set is available to buy from Screwfix for £49.99.